20 Jun 2016 --- Starting the day with so called healthy breakfast biscuits could be no healthier for you than a bowl of Kellogg’s Coco Pops – according to new research by campaign group, Action on Sugar. 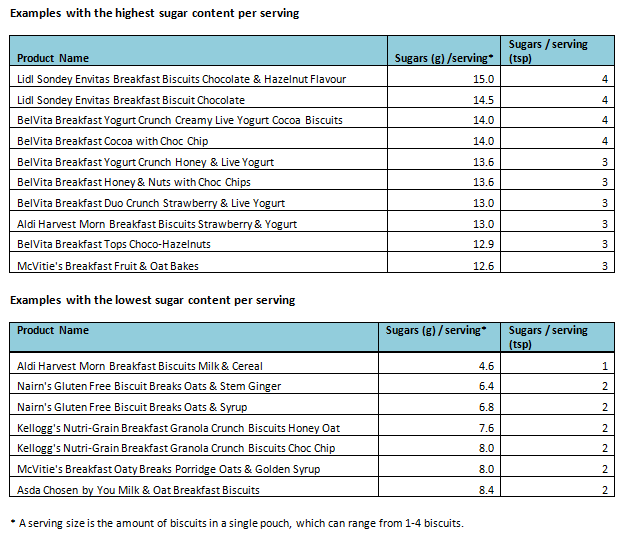 The product survey, which analyzed 39 breakfast biscuits sold in leading UK supermarkets, revealed the four products with the highest sugar content per serving are Lidl Sondey Envitas Breakfast Biscuits Chocolate & Hazelnut Flavor and Lidl Sondey Envitas Breakfast Biscuit Chocolate followed by BelVita Breakfast Yogurt Crunch Creamy Live Yogurt Cocoa Biscuits (2 biscuits in a pouch) and BelVita Breakfast Cocoa with Choc Chip (4 biscuits in a pouch) – equivalent to approx. 4 teaspoons of sugar. Worryingly, 38% of products would have a red warning color for front of pack labeling for high sugars content (15 out of 39), 41% of products would have an amber color for front of pack labeling (16 out of 39) and not one single product featured a green front of pack labeling for low sugars! Every single one of these products contained one or more teaspoons of sugar per serving. When it comes to serving size, misleading labeling continues to baffle consumers. For example, BelVita labels the nutrition information of one biscuit on the front of pack nutrition labeling even though each pouch contains 2-4 biscuits, which most people assume is one serving. 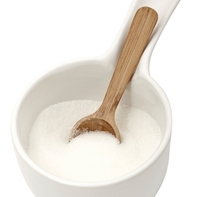 Registered Nutritionist Jennifer Rosborough, Campaign Manager at Action on Sugar adds: “It is important that breakfast substitutes offer the healthiest alternative, rather than a worse option. Sadly, we could not recommend any of the products we examined which are laden with excess sugar. “While some sugar in breakfast biscuits is naturally occurring due to ingredients such as fruit, many contain sugar that has been added by the manufacturer. We now want the Government to tackle this issue head on by making sure all manufacturers use color-coded nutrition labeling, encouraging reductions in sugar, fat and salt and ensuring manufacturers promote their products responsibly." Action on Sugar have called for an overall 50% sugar reduction in food and drink. This is because reducing sugar by 20% through a voluntary system that is not enforced will result in a far less actual reduction– meaning that population calorie intake will be reduced by approximately 20 calories per person per day, which is not sufficient to prevent obesity and Type 2 diabetes in either children or adults.? Read the full story here.